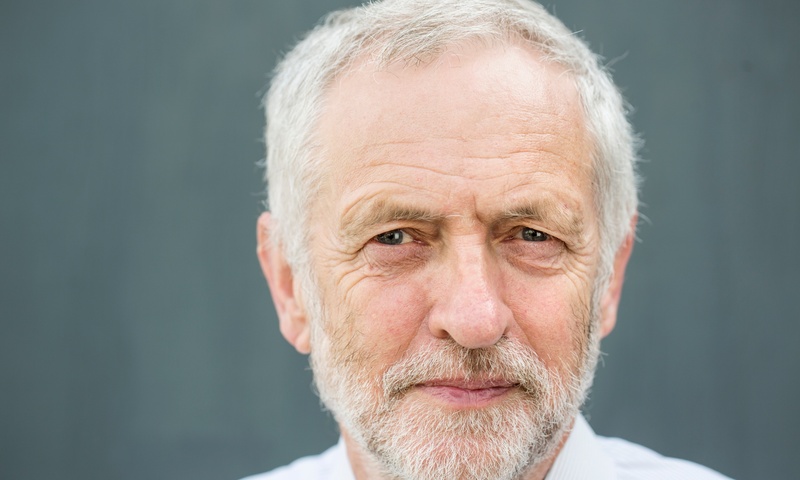 As Labour MP Jeremy Corbyn settles into his role as newly elected leader of the Labour Party, Brian O’ Connor gives his take on this rise to power. May 2015 is a month in British Political history that will not be looked upon with much grace by supporters of the UK Labour Party. On May 8th 2015 Ed Miliband went on stage at Labour HQ prior to announce his resignation in the aftermath of one of Labour’s worst defeats in history. Four months after such a massive defeat, we see the Labour Party trying to renew its identity, as what some would proclaim to be a true left wing party for the first time since the inception of Blairism, 1994. Like many, I had never heard of Jeremy Corbyn prior to this summer but his rise in prominence during recent times is something that historians will undoubtedly be looking at in years to come. To see such a once peripheral and dissident member of the Labour Party suddenly become the leader of the opposition is simply extraordinary. So, why and how did this happen? In the midst of such a recent major development it is difficult to speculate without hard evidence how such a peripheral figure such as Corbyn turned into one of the UK’s most prominent political figures. Being the perpetual political nerd that I am, here is my opinion on the rise of Corbyn and the evolution of the Labour party. 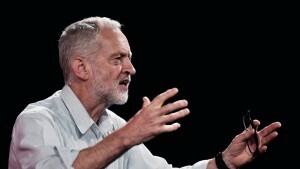 The Labour party’s bashing at the ballot box in May was the catalyst for change in Labour. Ed Miliband could have struggled to keep his hands on the wheel of the party but he knew that his days were numbered. So he did what he saw was the dignified thing to do and resigned. This was almost 21 years after Tony Blair became party leader and even to the casual observer one could argue that Blair’s push to the center right was still in the party. I would argue that they were perceived as being the party that proclaimed itself as left but still had a history of being almost Red Tories. This lack of credibility was most certainly shown in Scotland -where the Labour party was virtually wiped out by the left wing Scottish National Party. As the candidates announced their intention to run for leader in the weeks after, one could argue that many of them were just the same old Labour. Miliband’s resignation as leader began the change that would take four months to run its course. While British Politics went back to business as usual in the aftermath, it is safe to say that the public and media were jaded from too much political coverage. Leaving the inevitable maiden speeches, campaign wrap-ups and press conferences aside; there was not much coverage of ongoing proceedings in Parliament after such a dense month of politicking. As such, there was a wind down of coverage. Imagine being a member of the Labour party. The party has been demolished by its rivals and more importantly the electorate for not having a true left wing identity. Then you see the opposite happening in Greece with the rise of the Oxi movement. This may not have been the silver bullet for a peripheral candidate at the time such as Corbyn but it definitely gave him something to build upon as left wing politics was coming to the fore. Not only this, the celebrity status of the likes of Yanis Varoufakis may have also showed Corbyn that he can use the media’s fascination with personality to his advantage. In my view these two events, domestic and international had an effect on Corbyn. Being a man who sat in Parliament for so many years as a far left and dissenting member of a party that he stayed loyal to, he was sick and tired of seeing the same old Politicking occur. So he jumped and ran for leadership; the rest is history. That said, being a Member of Parliament for 32 years does not come without its fair share of political baggage and Corbyn definitely has some. As people realised that there was the prospect of Corbyn being elected, photos of him meeting Gerry Adams were produced on social media which went quickly viral, both in 2015 and the run up to the peace process. An open claim of support of a united Ireland is something that is toxic in UK Politics. This sign of support for a United Ireland is definitely augmented by his refusal to condemn the IRA and his Shadow Chancellor’s 2003 claim that some members should be honoured. The Labour party has always been seen as being more sympathetic to the Irish Nationalist cause than the Tories but never to an extent such as this. This will be interesting to say the least. The right wing press has torn into Corbyn for this, but they have also torn into him for not singing God Save the Queen at a recent World War commemoration this week. While the Labour party has subsequently said that he will sing the anthem at future commemorations, his silence shall not only enrage Unionists but also potentially give more ammunition to the right wing press. For the first time in British history, a political portfolio dealing with Mental Health has been established. Corbyn’s decision to appoint a Spokesperson for this portfolio is certainly welcome given the fact that it is such a major issue in the UK’s society. If it won’t be a priority in a potential Corbyn government post 2020, it will hopefully compel Cameron to address the issue head on. Many of Corbyn’s supporters have strong views on his new tenure as leader Ieuan Care from Liverpool is no exception. That said, Corbyn is not without his criticisms either such as what Marcus Buist from Perth has to say. Regardless of what one thinks of Corbyn, he is certainly a radical change for Politics in Britain. After a long summer of finding its feet, the Labour party has a new leader and will face new challenges. It is a fascinating time to be interested in Politics and Jeremy Corbyn can be either the last nail in the coffin for the Labour party or its savior. Only time will tell.